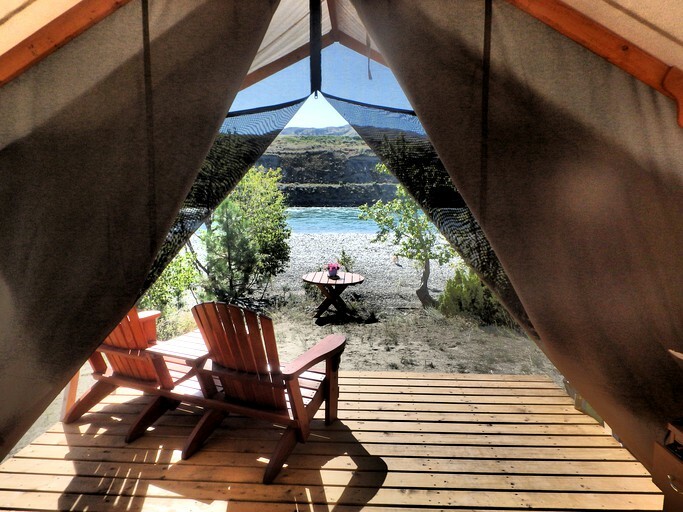 Glamping near Kamloops Lake, British Columbia. 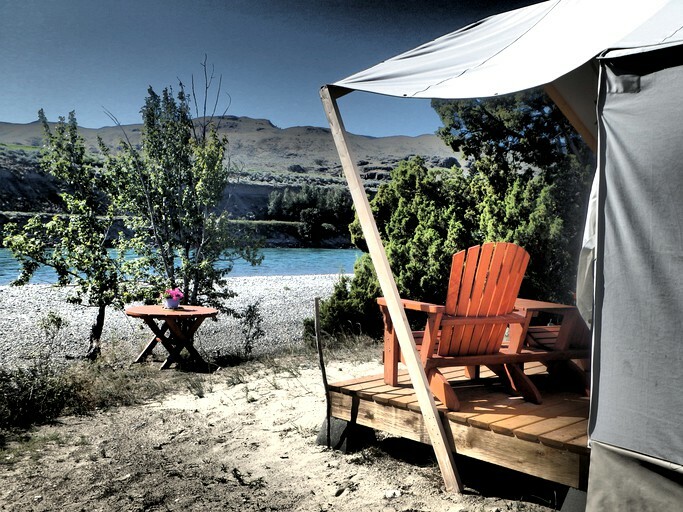 This comfortable glamping tent near Kamloops Lake in British Columbia is perfect for guests who want the adventure of the Canadian wilderness without forgoing the comforts of home. Able to comfortably accommodate two guests, this tent includes a blow-up queen size mattress that faces the tent entrance that leads out to the picturesque riverbank. This tent also features a front porch with two Muskoka chairs, so guests can recline and take in the river views. Solar power lamps light the way inside of the tent when the sun goes down. This property is equipped with solar powered LED lights once the sun goes down, and plenty of fresh running water on the property. Clean, shared bathroom facilities can be found directly on the property. Guests can enjoy the use of the fire pit with surrounding outdoor lounge chairs. There is a concession stand that sells ice, drinks, food, and ice cream. There is also a laundry service and showers. Propane, food, ice, and bedding are available at an extra charge. 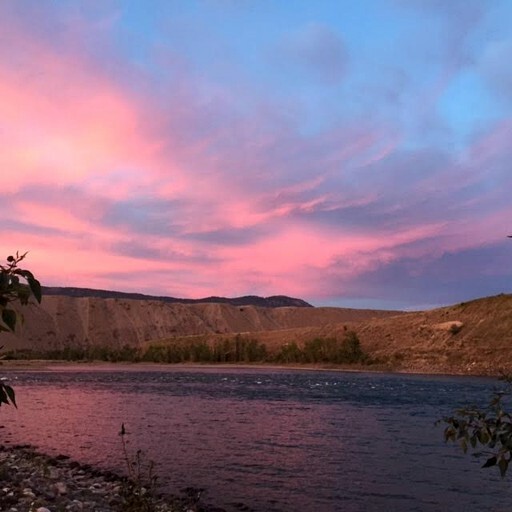 Situated on the banks of the Thompson River in beautiful British Columbia, the property lies in the historic Walhachin community at Thompson River Estates, a small community surrounded by vast desert wilderness. Just about an hour away from the larger city of Kamloops, the property is four hours north and inland from Vancouver, accessible from Highway 1 and 97. British Columbia, Canada, is known globally for its amazing landscapes, endless coasts, and precious wildlife. 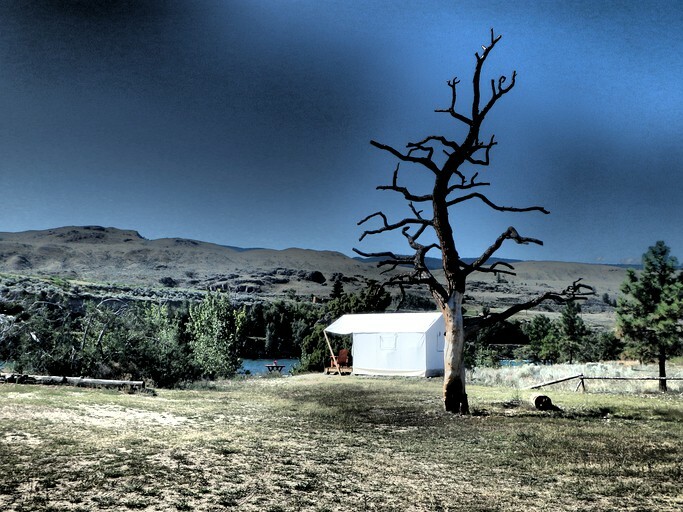 Just four hours inland, glampers can find a special, almost untouched region near the sparsely populated town of Walhachin, where visitors come to get away from it all and experience nature at its very best. The surrounding region boasts lakes, rivers, forests, and mountain peaks that allow for endless opportunities for outdoor adventures. The property itself lies on the Thompson River and is just minutes west of Kamloops Lakes, so its a great location for water sports enthusiasts. The river bank is great for sunbathing, wading, swimming, fishing, and having a picnic, while more adventurous glampers can kayak, canoe, or even go rafting. 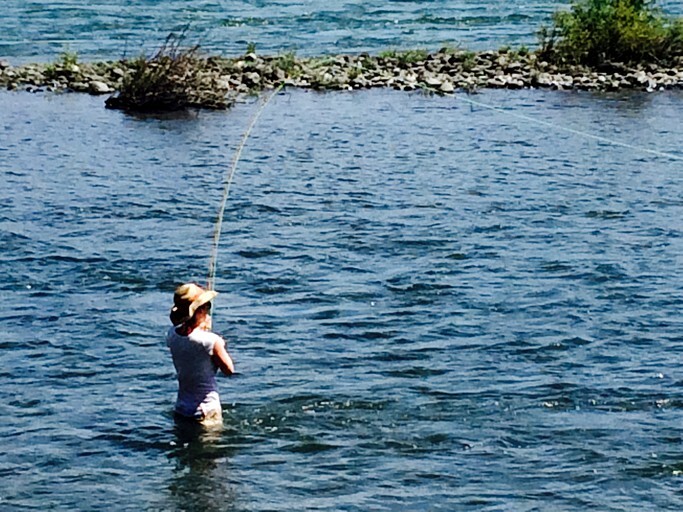 The larger Kamloops Lake is great for more extensive fishing and boating. The terrain immediately accessible from the property is hilly and rocky, with scattered forests, so it is terrific for hiking, horseback riding, and mountain biking. Bird watchers, photographers, and wildlife enthusiasts will never have a boring moment while roaming the areas around the river. For those who are interested in visiting during the winter months, the surrounding ski resorts open their doors to downhill skiing and snowboarding, so glampers who love the snow will get a taste of a true British Columbia winter. 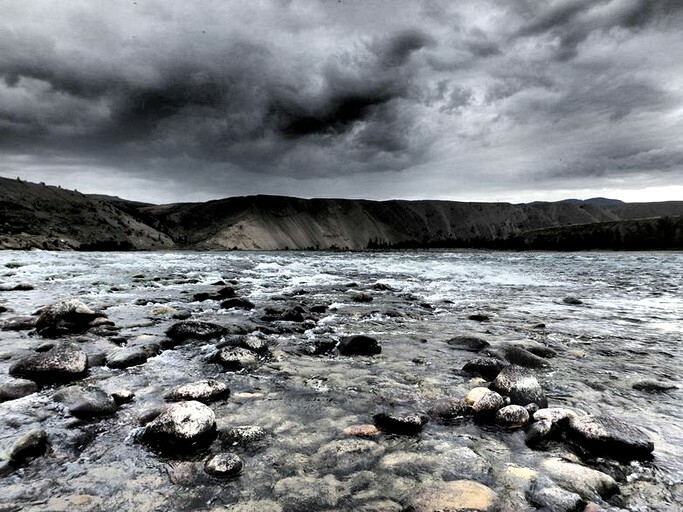 The property lies on the Thompson River, where there are no lifeguards. Guests who choose to venture into the river are advised to use caution and use at their own risk.